1- Resin folding chair. 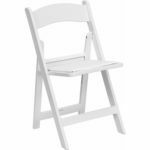 White Resin folding chair. 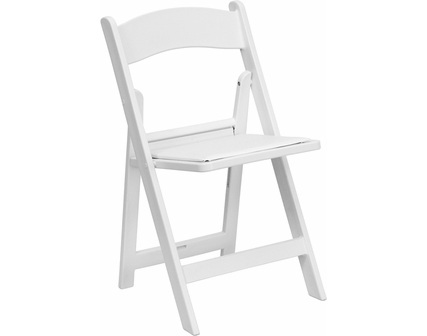 These chairs add a more elegant touch to any event. You must log in and have rented this rental to submit a review.